Beyuna Greens consists of Chlorella, S-Acetyl-Gluthatione and Nu-FLOW® as a filler. Chlorella is a freshwater algae that stimulates the natural immune system. 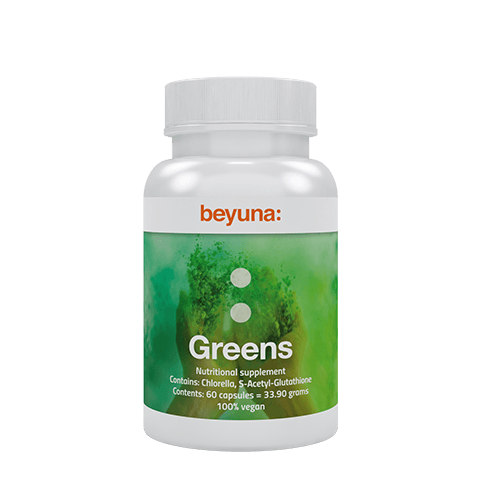 Beyuna Greens is Clean Label, which means that the supplement contains no synthetic fillers, auxiliaries or colours.